So, what’s been the haps? I’ve been eating well, for one. Well, sort of. A few weekends ago, my friend Mary Logan hosted a group at her family home on St. Simon’s Island. 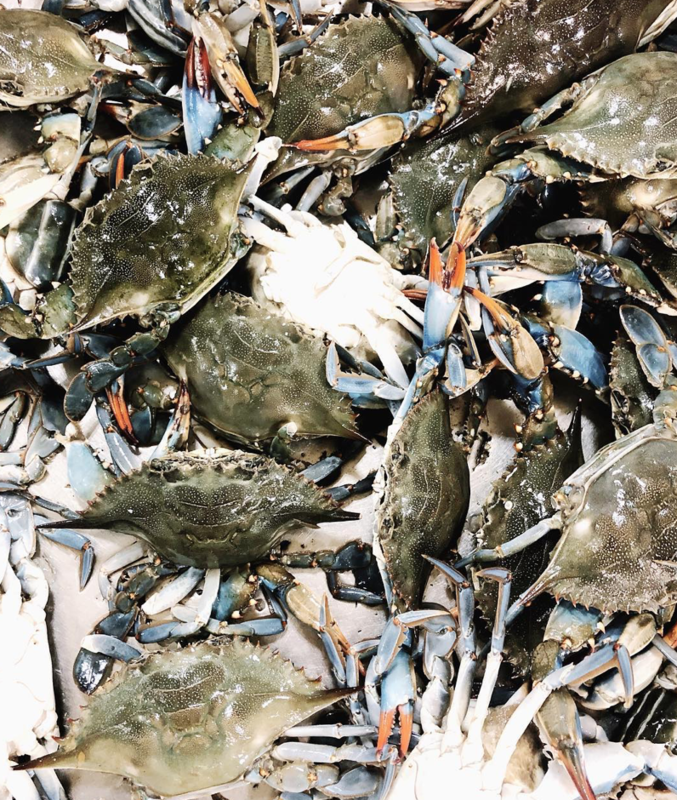 We decamped into two vehicles and wound our way to Dockside Seafood near Shellman’s Bluff, where we filled a cooler with a gluttonous amount of blue crabs to take back to the house for dinner. I shared the somewhat gruesome process of live crabs plopping into boiling water on my Instagram stories — and was immediately flooded with messages from all kinds of people fussing that we had not gone about the whole thing correctly. I’m going to let us off the hook a bit here — we did go out of our way to buy local, sustainably-caught seafood. However, rather than an abrupt, sizzling hot dunk, you, dear people of the Internet, let it be known that we should have slipped Sebastian into the freezer before the death knell rung. This is apparently far more humane, because it numbs the ol’ boys up before their untimely (legs first - again, more humane!) free dive into the molten hot tub of doom we like to call a stock pot. To you, fair crustacean-crusading friends, I apologize on behalf myself and my heathen friends. At the very least, rest easy knowing it went to the nourishment of everyone’s bodies. Well… except mine. The irony of catching Instagram’s full wrath on behalf of a creature I cannot eat does not escape me — I’m allergic. Speaking on the subject of seafood I can consume, I’ve had the pleasure of eating a lot of good oysters lately. More on that in the coming months, but do want to share one bivalve that stood out in particular — the infinitely cool “Divine Pine”, which is a blue-hued oyster out of North Carolina. The curious sea glass-color is a result of a nutritious native algae bloom called Halsea, which filters through the gills and leaves behind a really distinct-looking oyster. Not only do they make a pretty picture, they’re excellent eating. I had mine at the raw bar at Atlanta’s Watchman’s SeafoodI & Spirits (I wrote the spot up here for Eater, if you’re curious), but I imagine you could request ‘em (grown by the folks at N.Sea) on the board at any reputable dining establishment. ‘Til next time, land lubbers!